At Aggressive Combat Championships 17, My MMA News reporter, Kyle Carroll caught up with Invicta FC atomweight Jillian DeCoursey. DeCoursey is currently 1-0 as a professional winning her first fight verse Ashley Medina at Invicta FC 25. ACC 17 was held at the Westchester County Center in White Plains, New York on Veterans Day, November 11, 2017. Daniel Rodriguez defeated Carlos Rodriguez by armbar submission in third and final round with just one second left in the fight. 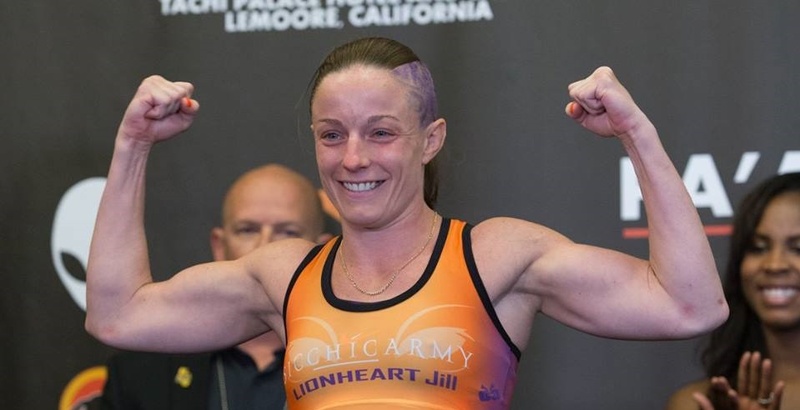 UPDATE: “Lionheart” DeCoursey will now fight Rebekah LeVine at Invicta FC 28: Jandiroba vs. Morandin on March 24, 2018.